Eating black eyed peas is a new years tradition at our house. It is considered a source of luck for the new year that will bring prosperity in the new year. It is also part of the Jewish New Year Rosh Hashana and has been recorded in the Babylonianian era. The tradition has also been traced back to the Civil War. Union troops stripped the countryside of all stored food, crops and livestock and destroyed whatever they could not carry away. Northeners often considered the black eyed peas "field peas" suitable only for animal fodder and did not steal or destroy these humble foods. Southerners would cook the peas with a pork product for flavoring such as bacon, ham bones, fatback or hog jowl, diced onion, and served with hot chili sauce or a pepper flavored vinegar. Soak your beans overnight. 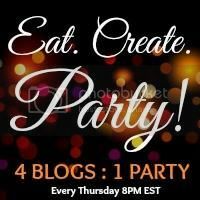 (This is the hardest part for me to remember...don't forget! :)) Drain in the morning. Dice the veggies, and put them into your crockpot with the beans. Add your sliced sausage and then pour in the broth, italian seasoning, salt, and pepper. Cover and cook on low for 8 hours, or on high for about 6. 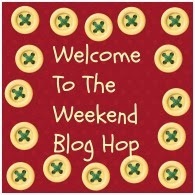 Place a big pot of water on the stove, top with a metal or glass bowl and melt the chocolate candy bars. Add in the heavy cream and stir well. Next goes in the vodka. Now there's no real measurement for that, just add to your taste, if you like it a little stronger add more, if you don't want it too strong add less. Mix everything well, pour into a pitcher and let sit on the counter until it's cooled down. Transfer to the fridge to cool. 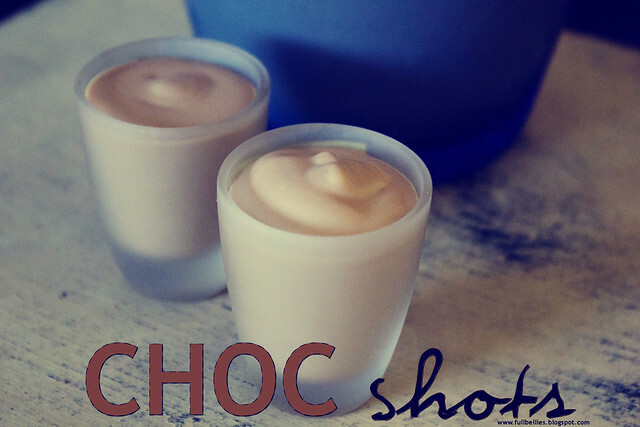 When it's nice and chilled, pour into shot glasses and enjoy!!!! 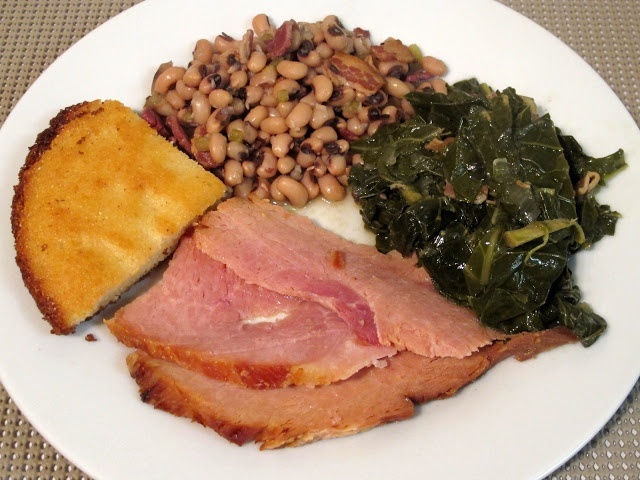 New Years Eve will find us eating cornbread, beans, spinach, slaw, and some great desserts the reason we eat the same the first of every year Here are few more recipes that I found on Vocal Point that are meant for good luck. Sure, you could just stick 12 grapes on a stick and call it lucky. But how fun is that? Whip up this creamy and fresh dessert instead. Each grape represents one month of the year—some grapes (and months) are sour, others are sweet. Grape growers in Spain started the tradition in 1909, and would eat 12 grapes before midnight. The tradition spread to Portugal, Cuba, Mexico and Peru. Make grapes your lucky fruit of the night! Stir the cream cheese and yogurt to combine in a large bowl. Gently fold in the grapes until they are covered. Sprinkle on the almonds. Substitute with walnuts or any other nuts you have left over from the holidays. Asian countries eat long noodles on New Year’s Eve for good luck, so serve this sweet and tangy recipe at your New Year’s dinner. Dried rice noodles are great, but if you have any stir-fry noodles around or even plain spaghetti, go ahead and use that—we won’t tell! In large pot, boil 6 cups water. Add noodles and cook until tender. While they cook, peel citrus fruits and cut into wedges. Put in large bowl. Drain the noodles and rinse with cold water, then combine in bowl with fruit. In medium bowl, whisk sesame oil, sweet chili sauce, honey, and salt until mixed. Taste-test the sauce (it’ll be strong, but it will mellow out in the noodles) and adjust ingredients to taste. Drizzle over noodles and fruit and serve. 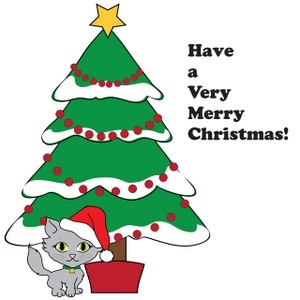 We are in full swing of the winter season and the holidays. Germs are every where and the cold weather is not making it any better. Seems like there are several people under the weather suffering from cold and flu symptoms. One thing that I find very useful in making one feel better is to make up a hot toddy. The soothing drink can warm one up and allow them to relax as well. This warming alcoholic concoction has its roots in the 18th and 19th century, which even without taking global warming into consideration were cold centuries. It allows you to mix whisky with hot water and flavours to take the edge off the spirit. It’s a great drink and a top variation on the theme of other hot booze like mulled wine or mulled cider. Simply put a shot of whisky in a mug and top up with boiling water. Add a couple of cloves and some cinnamon to taste. Enjoy while wrapped up, shared with a loved one! Candy Cane is traditionally red and white. However can be found in a great variety of colors and flavors. Line a baking sheet with parchment paper, set aside until needed. Place the chopped chocolate in a microwave-safe bowl. Microwave the chocolate for 30 seconds. Remove the bowl from the microwave and stir. Repeat the same microwave-and-stir process until the chocolate is completely melted and smooth. Once the chocolate is melted and smooth, let it slightly cool on the counter for about 5 minutes. 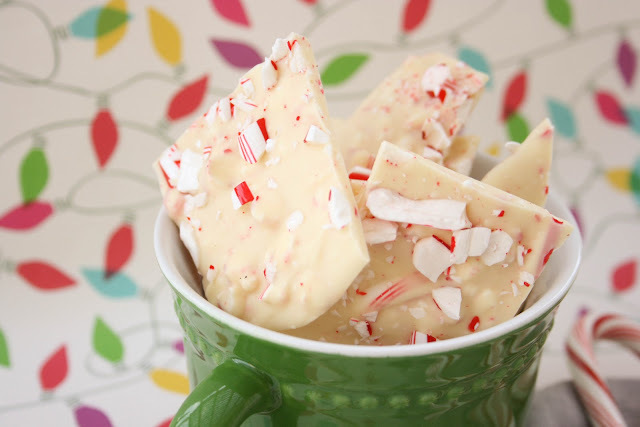 Once cooled, add the crushed candy canes into the white chocolate, reserving 2 tablespoons for topping the bark. Pour the mixture onto the prepared baking sheet and spread is evenly until its ¼ inch thick. Sprinkle the remaining crushed candy canes over the white chocolate mixture. Place the baking sheet into the refrigerator until its firm, about 10 minutes. Once it has hardened, break it apart into medium-sized pieces. This bark is best kept in an airtight container or sealed plastic bag for up to two weeks. PREPARE 12 cookies as directed on package. Cool on baking sheet for 2 minutes; remove to wire rack to cool completely. TO MAKE HATS, ADHERE Jingles to pretzel snaps with frosting. Set aside. TO MAKE SNOWMEN, INSERT 2 pretzel sticks into each side of 12 marshmallows to create arms on base of snowman. Spread a heaping teaspoon of frosting onto center of each cookie; top with snowman base. Press down lightly. Spread additional frosting on top of each snowman base. Top with remaining 12marshmallows. Dip orange candies and mini morsels into frosting and add noses, eyes and buttons to snowmen. For scarf, tie each piece of licorice loosely around neck of snowman using frosting as glue, if necessary. Let both hats and snowmen bases stand for 20 minutes to set frosting and make snowmen stable. PRIOR TO SERVING, adhere hats to snowman head with frosting. If snowmen need to set up more, lean them against a glass or can to set.